Transform your little one into a Batman Newborn Photography Props. Adorable Batman Props will make you heart melt. Who doesn't like Batman? 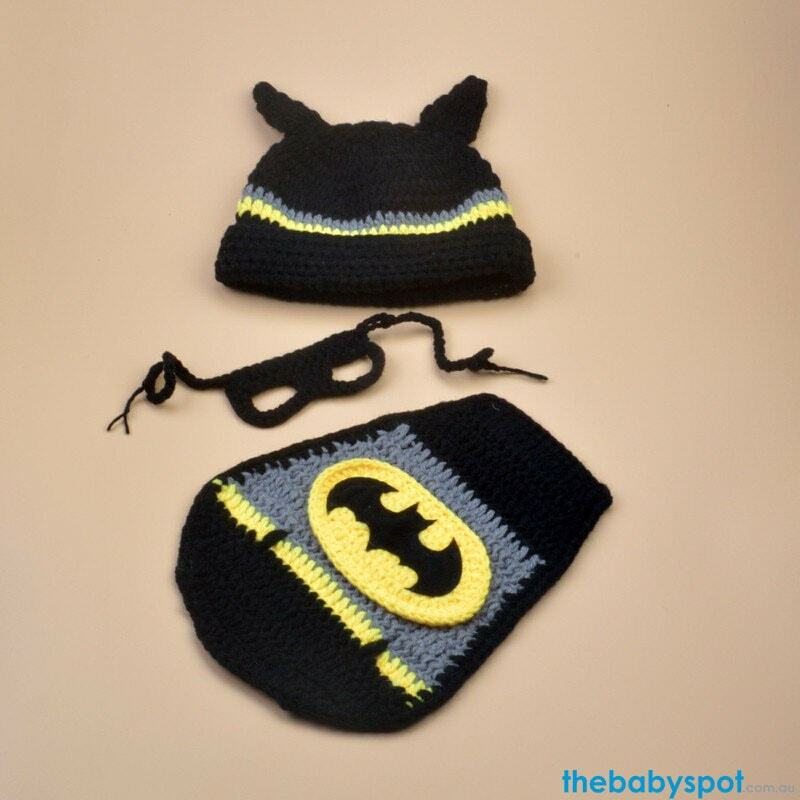 These Batman Props will be the hit of the next fun filled baby shower. It has an elastic, breathable, great material and best design, it gives your lovely baby free and unbound feeling. Best choice for birthday, party and photo! These adorable baby costumes are really love by kids worldwide! They are made with Premium High Quality material and are perfect for little ones. Note: Hand wash and let air dry! This product should be used under the supervision of adults. The measurement may have 1-4cm (0.39-1.56inch) inaccurate errors. It will bring you valuable memory. The cute dress is very impressive and unique. Special design give your lovely baby free and unbound feeling. Best choice for birthday, party and photo. Please allow 1-3 weeks for Australian delivery! Please allow 1-3 weeks for USA delivery! Please allow 2-5 weeks for International delivery! Take a selfie with our product and email it to [email protected] to win!" Copyright 2015 The Baby Spot. All prices are in AUD.